"Nokia is currently working with the Zune team on integration of Zune Marketplace content according to a well placed source within Microsoft. The joint development is directed at content delivery rather than a hardware device according to the source. It has long been assumed by many tech followers that Zune content and software would find it's way onto Windows Mobile devices, thereby offering competition to the unfortunately popular iPhone. The interesting thing about the Nokia Zune partnership is that Nokia does not support Windows Mobile. It appears Microsoft may be developing a two front war against the iPhone, namely Windows based smart phones and more abundant 'non-smart' phones." Take it or leave it, but Zune-Scene's reporting that if and when the Zune team releases a media player client for a mobile phone (a.k.a. the "Zune Phone", "zPhone" or "Pink and Purple project"), it won't be on Microsoft's own Windows Mobile platform as widely speculated, but on rival Nokia's series of smartphones. As with past Zune-Scene reports, this one is short on detail (e.g. no release date, lots of plausible deniability) and high on outlandish claims. While keeping this in mind, I should also point out that Zune-Scene's sources have been right on a number of these scoops in the past. This should be fun to watch as it develops. Interesting...we'll just have to wait and see. Haha, "...the unfortunately popular iPhone." I'd recommend some cajun spices if you follow through on that. You do know there is precedent for this, right? MS licensed Exchange push email connectivity to Nokia a while back and they are both quite happy about it. And they are licensing Silverlight to all comers. Just this week it came out they help fund Apache. MS is not particularly religious about licensing their tech to competitors or supporting competing platforms when customers require it. So there is no reason for MS *not* to take advantage of Nokia's phone-pushing clout, nor is there any reason why Nokia wouldn't want to get a cheap counter to iTunes for their phones; their options are Rhapsody, Napster, and Zune. Would it really surprise anybody if they sat down with all three to see who came in with the best deal? And if they did, that MS would win? I'd have to disagree with that. In the world of consumer electronics, image is of the utmost importance. This just doesn't make sense from an image perspective, and it certainly doesn't make sense from a tech perspective--the Zune firmware is built upon Windows CE, and lives within the Microsoft ecosystem. You might recall that Exchange was licensed for Apple's iPhones. Want to take bets on when Zune capabilities are coming to the iPhone? Just because Nokia has Exchange does not mean they're doing the Zune Phone. I could make the argument that Nokia is moving closer to Mobile Professional market by licensing Exchange. Zune Phone would be the opposite direction in my mind. Which might be a good business model, but unlikely. 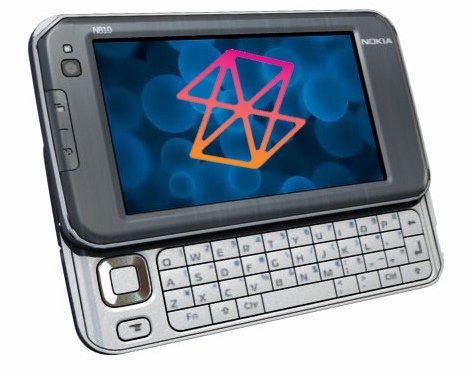 If the Zune Phone happens I think it will be made by a hardware manufacture that already makes Windows mobile devices. The tuff part for Microsoft on this one will be making it easy...not trying to cram too much in it. "Make it simple stupid" However now that it's AFTER the iPhone it will get compared up and down. This may cause Microsoft to add useless, complicated features, only a few need. When I say complicated I don't mean us, forum people. Non-forum people are really pretty stupid when it comes to this stuff. I think it will be a winner at a very, very low price point. Make it inexpensive. A 15 year old kid should easily be able to talk their father/mother into buying them one. What are your thoughts on the demographics of a Zune Phone buyer? Answering that question may give us some insight who will make them. Huh, didn't see this coming. I feel myself drifting away from Windows Mobile. Now that I'm using an HTC Shift to work away from home, I don't need my mobile to be an all-singing, all-dancing computer anymore, and that's opened up a space for me to question why everything about WM devices is so damned complicated. Hearing now that they're focusing on putting Zune compatibility into Nokia phones while I can't get two of my MSN Music Store-purchased songs onto my new-this-year WM device just makes me want to give up on the platform. A five-minute conversation with any one of us in this community about what we want from these devices would underscore how severely disconnected this team seems to be from consumer reality sometimes. Methinks the "invisible hand" of the marketplace is about to slap MS's mobile division upside the head within the next year or two. Nokia already have their own music store as part of Ovi and it serves way more countries than the Zune store. If Microsoft want to write a Zune store app for Symbian then there's nothing to stop them (especially after Symbian goes open source). However, I can't see Nokia bundling it with their phones unless it's a North America-only deal. Well, its pretty obvious that the target audience is the same as for the Danger platform. High school/college kids primarily, no? Young adults to a lesser extent. Say 14-24? They spent half a billion buying those guys up for a reason. And that demographic is hardly a bastion of WM. What is so odd about MS doing a two-fold (or three-fold) approach to expanding the reach of the Zune marketplace? 1- MS can't *force* WM phone manufacturers to bundle Zune Marketplace. (Can you spell antitrust little boys and girls?) At most they can offer it as a download for *users* to add to the phones. 2- MS *could* be making a deal with a *carrier* or two and *they* could be the ones asking it go on a Nokia phone. 3- Or it could be they are dealing with Nokia itself. Its not as if Nokia's music store is doing any better than the various carrier-owned music stores. And, uh, yes, last time I looked Zune hadn't yet reach Europe so it is either NorthAm-only *or* it is part of the euro launch of Zune. Take your pick. 4- Zune is by definition a separate business within MS from WM, just as XBOX is; its even run by many of the same people. Their mission statement doesn't *require* them to play by the same rules as the WMP guys. So yes, it would be odd to see a Zune client of *a* Nokia phone before *a* WM client but hardly impossible. That might be the price of getting Nokia to play ball. This particular rumor isn't about whether the dog can play chess--he obviously can--but rather, why isn't he chasing cars instead. There is no reason MS *can't* do this: the question we need to ask is, *why* would they? And then factor in: why did they do Zune as separate from Playsforsure, in the first place? Why buy Danger? So why put all your eggs in that one basket? Why not do WM for some markets (which may or not include a Zune client), Danger for others, and yes, if appropriate, deal with Nokia for still others. Now, I'm going back to lurking. Last edited by Felix Torres; 08-03-2008 at 02:29 PM..